FAQ - Frequent Asked Questions - Gerkin & Decker, P.C. Our office is centrally located in Livingston County on Grand River between Brighton and Howell. We have an additional office in Flint, MI. For our addresses and convenient maps to our locations click here. Please keep in mind that although the primary office is in Livingston County, the attorneys are happy to travel to the surrounding counties to provide legal counsel and representation. We are a general practice law firm dedicated to the effective, aggressive and compassionate representation of our clients. We provide legal counsel and representation in the areas estate planning; probate and trust administration; criminal law; business law; and family law. Our fees vary from case to case and situation to situation. We offer a variety of different fee structures depending on the matter including flat fees, hourly fees and contingency fees. We often offer flexible payment plans for those in need of our services. The attorneys are happy to offer a free initial consultation to discuss your legal issue and the anticipated fees associated with your case. Why should I hire Gerkin & Decker? We are dedicated to providing effective, aggressive and compassionate representation while maintaining the highest standards of ethics and professionalism. We strive to provide an increased comfort level during confusing and stressful times by providing clients with organized information, accessible attorneys and a well prepared case. Do you offer out-of-office consultations? Yes. We understand that for a variety of different reasons you may not be able to physically come to our office. 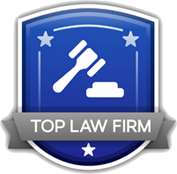 Our attorneys are willing to travel to you and provide an out-of-office consultation. They frequently visit client’s homes, nursing homes, hospitals, jails or other locations to make the process more convenient for our clients. Yes. A high percentage of legal issues involve the overlap of multiple professions. For simplicity and convenience to our clients, we often team with other professionals including CPA’s, real estate professionals, financial advisors and mental health professionals. A team approach can save time and money by making sure all of your professional advisors are acting as a cohesive unit. With the exception of generally observed holidays, our office is open from 9am to 5pm Monday through Friday. Our attorneys are also happy to schedule morning, evening and weekend appointments to provide convenient consultations to those who may have difficulties in getting to our office during normal business hours. Our office accepts payment by cash, check, debit and credit card. We accept most major credit cards including Visa, Master Card and Discover. We also understand that lump sum payments may be difficult for some clients and we do our best to work out flexible payment plans when necessary.